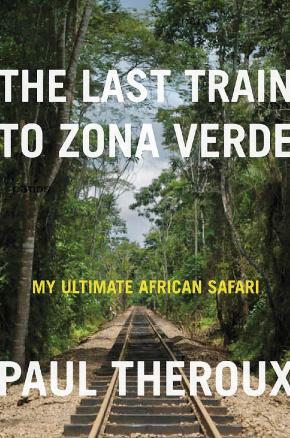 Let us hope that the blurb on the dust jacket of The Last Train to Zona Verde is correct, and this really is Paul Theroux’s ‘final African adventure’. The great white North American writer, who, just a decade ago, documented his journey down the right-hand side of the continent in Dark Star Safari, now travels up the left-hand side, starting in Cape Town and heading towards Timbuktu. So we are told, this is the septuagenarian’s ‘ultimate safari’. Reading this flood of paternalism, this fantasising of an exotic “other”, you might think that Theroux is playing some sort of post-colonial literary game in which he caricatures the diaries of white men who, for centuries, have sought to justify their power and privilege in Africa. But you would be wrong: he means it. Page after page, our ageing author reveals how little he has learned during 50 years travelling the world, including six as a teacher ‘in rural Africa’ in his twenties. ‘Africa drew me onward because it is still so empty’, he writes, managing to ignore the abundance of evidence to the contrary. His desire for the innate African simplicity in which he believes is fuelled, predictably, by his need to escape a life dominated by “Western” technology and the ‘trivia’ of other people’s deadlines, telephone calls and emails. It will be bliss, he writes, to ‘travel unconnected, away from anyone’s gaze or reach’. Presumably, then, he is happy to exclude the ‘gaze’ of the people who will see him on his journey and who might even attempt to connect with him. For Theroux, they don’t count. Yet his longing for the “noble savage” is what disables him, and soon disappointment sets in. Theroux is upset to discover that the Namibian hunter-gatherers he observed were merely acting out the traditions of their forefathers as employees of a Living Museum sponsored by a German charity. Robbed of his yearning for ‘an unspoiled place on the planet’, he concludes, bitterly, ‘being wrong and disillusioned seems an inevitable consequence of any serious African journey’. Exactly what he means by the word ‘serious’, one can only wonder. In Cape Town – preposterously described as ‘the only city in Africa with a claim to grandeur’ – he strides around the townships condemning the ‘idle youth’ and endlessly quizzing his drivers on the spelling of unfamiliar words. You sense that he delights in trying to trip up his guides, boasting on one occasion about his own superior knowledge of the Xhosa prophet Ntiskana; and on another, taking pleasure in goading a man about the death of Amy Biehl, a North American Fulbright scholar who was murdered in Guguletu in 1993. But as galling as this is to read, it still doesn’t prepare you for Theroux’s account of Angola. Looking at a map, he describes the border between Namibia and Angola as ‘a land unknown and undiscovered’. He dares refer to Angola as ‘pretty much terra incognita’ and even as a country in ‘isolation’. These descriptions are unfathomable when you consider even a basic historical listing that might take in the arrival of the Portuguese in the fifteenth century, the onward creep of Christianity, the trans-Atlantic slave trade, Portuguese colonialism, the proxy Cold War, the international oil and diamond industries, and more recently the influx of the Chinese, not to mention Angola’s major financial investments in Portugal and the explosion of kuduro music across the globe. Even at the micro level, there are plenty of Angolans who live in Luanda’s musseques, but travel across the globe to buy clothes, soft furnishings and mobile phones to sell back home. Isolated? I think not. Unknown to parochial North Americans? No doubt. Weeks before Theroux has even set foot in Angola, he insists it’s ‘inhospitable’. He claims that even among ‘the hardier travelers, the backpackers and wanderers, I had yet to meet one who had actually crossed the border into Angola’. As someone who has lived and worked in Angola – and who travelled overland from Windhoek to Luanda in 2008 – when I read this, I found myself shouting back at the book in my hands. Whereas Theroux describes the southern border post as ‘the frontier of bad kharma’, ‘a zone of decrepitude and hunger’, two years earlier I had been welcomed, open-armed, by men and women generously praising me for conversing with them in Portuguese. From Santa Clara to Lubango, to Bailundo, Sumbe and Luanda – sometimes hitching, sometimes aboard a candongueiro – although it is true that many of the roads were in a terrible state and the odd policeman was a bit crooked, I did not encounter ‘roadblocks and mobs… a world of lies and scamming… a world of abuse’ in which ‘the hotels were terrible, the food was filthy, the people were suspicious and occasionally hostile’. Indeed, I wrote home to friends and family to say that I was having the time of my life being cossetted by strangers. Unable to speak more than a few words of Portuguese, it is notable that Theroux only seems to like the people who have the ability to chat with him in English or broken Italian. Nearly everyone else is described as ‘idle’ or ‘crapulous’, ‘greedy’ or ‘exhausted’, or even ‘mute and brutalized’ – no matter that he can’t understand what they have to say about the world, or him. Indeed, the North American author admits to feeling perplexed when the Union of Angolan Writers rejects his offer to lecture them in English about literature. Instead, he ends up at the Viking Club – in my experience, a largely expatriate gathering where the tedium of alcohol dependency, ego and English language appear to thrive – and enjoys ‘a pleasant evening’. Towards the end of this unpleasant book, Theroux, still in Luanda, explains his decision not to continue further up the West African coast. He is, in part, troubled both by the lack of roads and the poor condition of the existing roads. He considers flying as an alternative, but immediately rejects the idea: ‘You don’t see anything from thirty thousand feet.’ But has he really seen anything from ground level? It seems not. In his concluding chapter – ‘What Am I Doing Here?’ – he claims that to travel in Africa, ‘especially the horror cities of urbanized West Africa’, one needs ‘the skill and the temperament of a proctologist’. Yet, for this reader, forcing myself through the text, the only faecal matter I observed was that which was smeared in print on the pages before me.